According to “The State of Innovation in the Automotive Industry”, published by Thomson Reuters, there were less than 2,000 patents for technology related to hybrid drivetrains, stop-start systems and downsized engines in July 2009. By July 2014, there were 12,000. Patent and trademark attorney Withers & Rogers also pointed out the proliferation of Japanese and Korean companies. 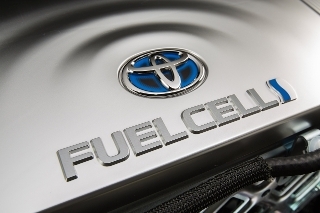 Toyota filed 7,000 patents in that time, many of which are due to its hydrogen fuel cell technology, while Hyundai has had the biggest increase – from 500 in 2010, to 1,200 in 2013, reaching third position overall. James Gray, a partner at Withers & Rogers, said the balance is likely to shift towards European manufacturers in the near future: ‘This area of tech innovation is attracting attention because of the move towards more fuel efficient vehicles. EU legislation sets mandatory CO2 emissions targets for new cars and the average for fleet vehicles in 2015 is 130 grams of CO2 per kilometre – dropping to 95g/km by 2021.